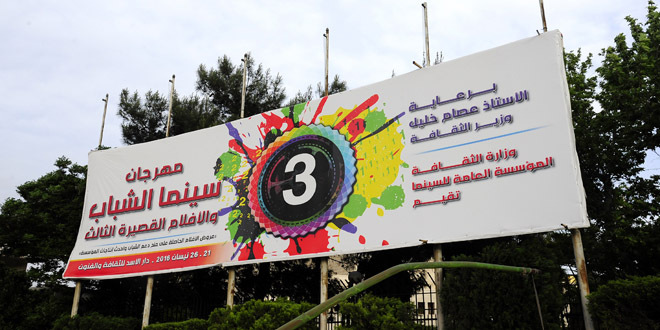 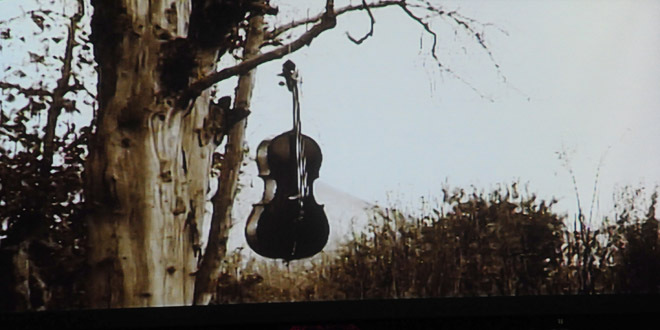 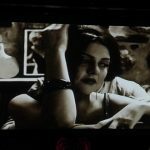 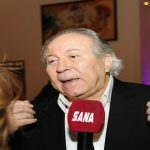 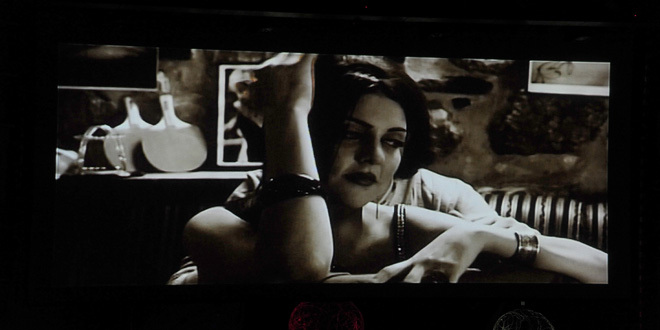 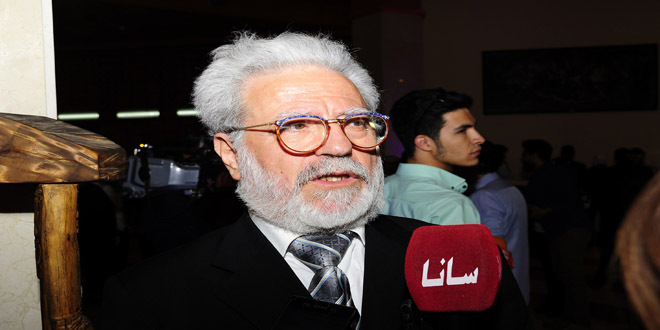 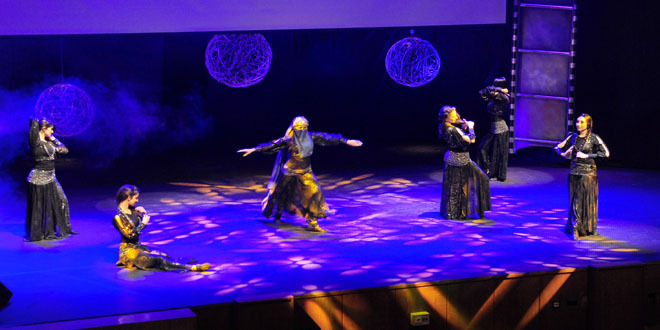 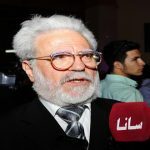 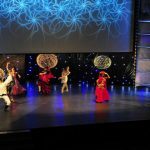 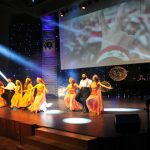 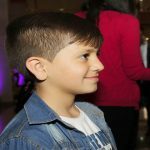 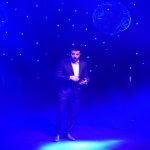 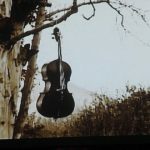 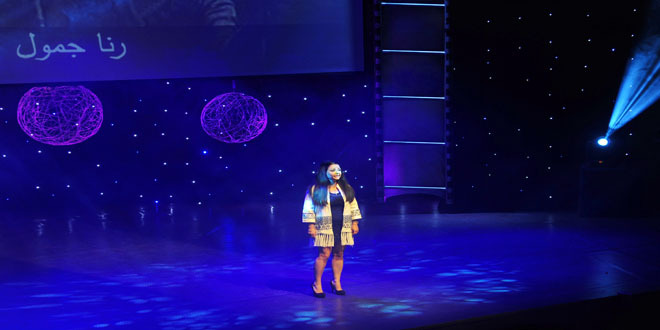 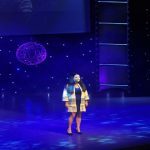 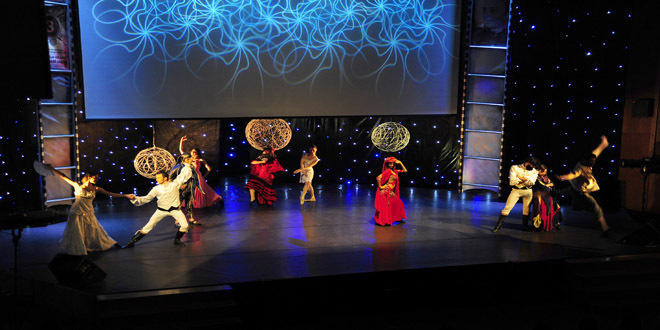 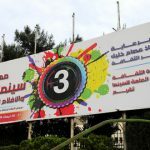 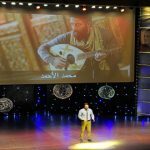 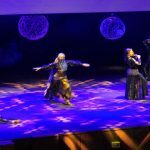 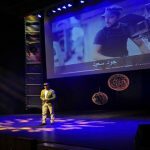 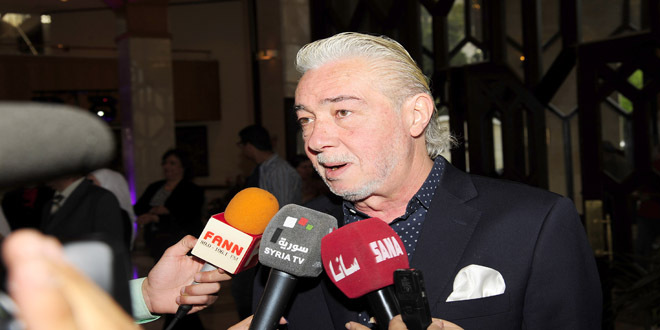 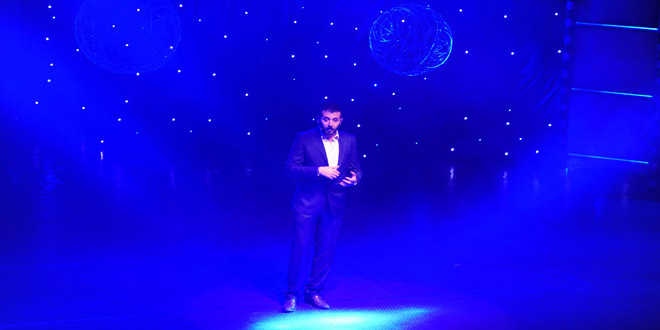 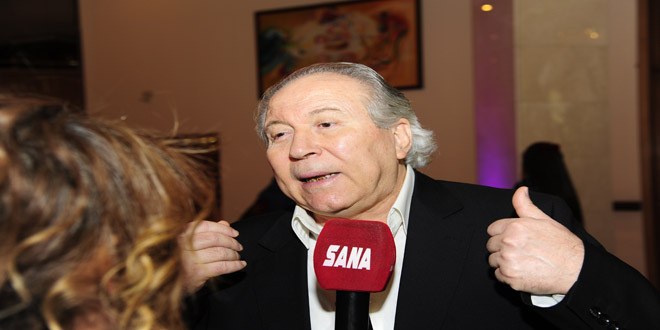 Damascus, SANA – In its third edition, Youth Cinema and Short Films Festival opened at the Opera House in Damascus on Thursday. 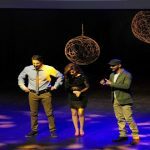 The festival, organized by the General Establishment for Cinema, is part of the national Youth Cinema Support Project that is aimed at encouraging and supporting young amateur and professional film makers, writers and directors. 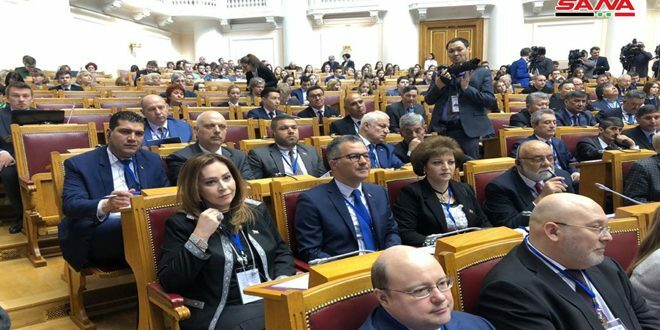 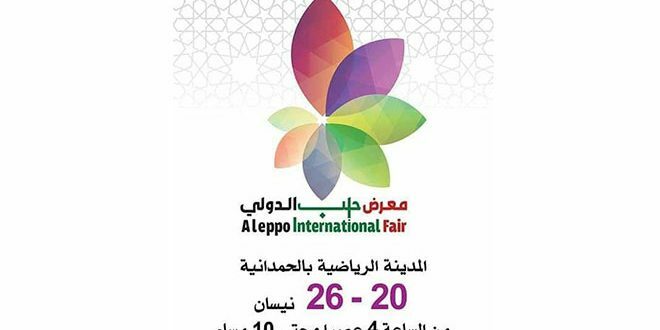 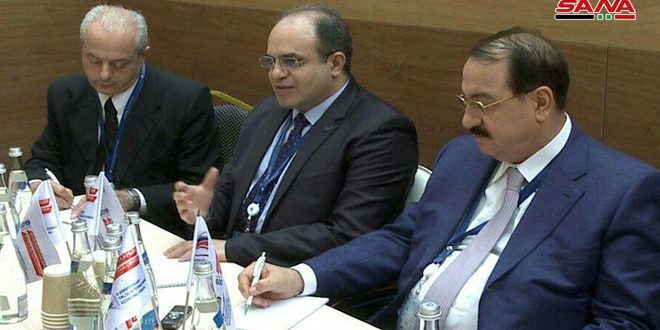 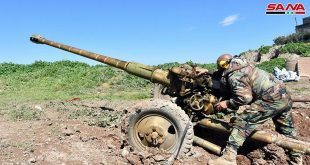 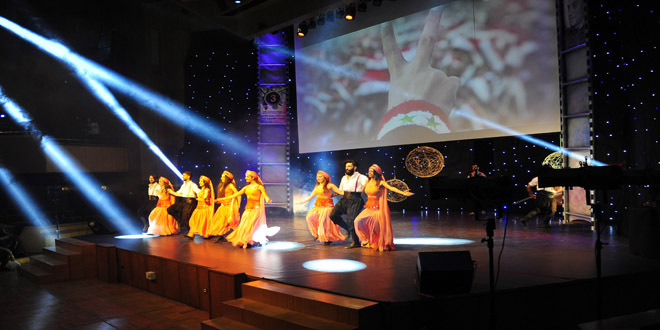 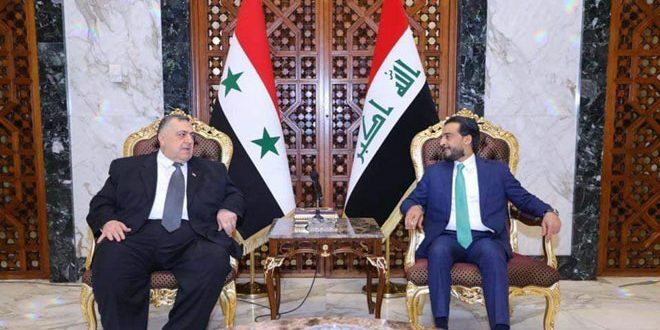 More than thirty short movies, most of which were filmed during the past years of the crisis in the country and featured its aspects on the Syrian people’s lives, will be displayed in the course of the 6-day festival. 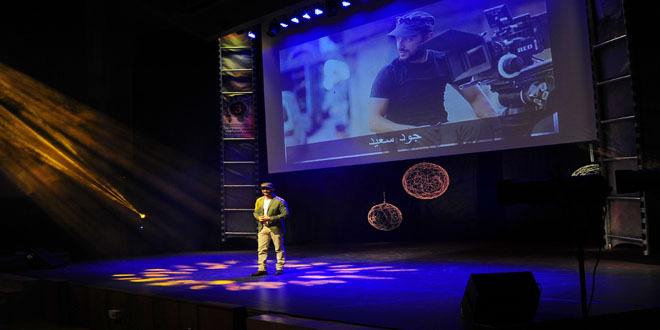 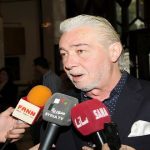 The movies’ makers will compete within the festival’s official contest with a jury headed by the well-known movie director Najdat Ismael Anzour. 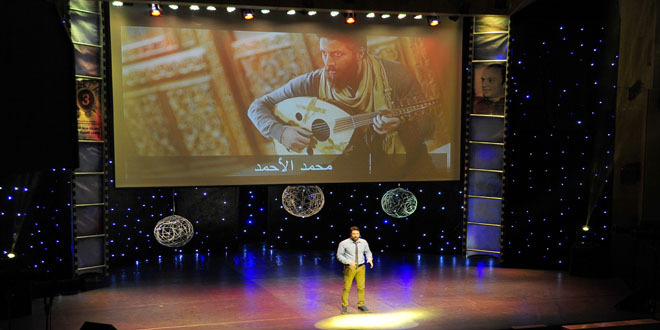 The festival’s opening ceremony saw the honoring of a number of Syrian and Arab filmmakers, the most prominent among them were Director of the Alexandria Film Festival al-Amir Abaza, Lebanese filmmaker Subhi Seif Eddin, scriptwriter Hassan Sami Yousef, actor Dureid Lahham, actress Antwaneit Najeeb, director Abullatif Abdullhamid and the late movie director Marwan Haddad.